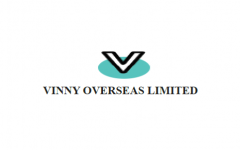 Vinny Overseas IPO Description - Vinny Overseas is engaged in the processing of fabrics for shirting, suiting and dress materials through manufacturing process of weaving, dyeing, printing and finishing. The company procures Grey Fabric from the domestic market and further dyes the same as per the client’s requirements on the basis of quality of the fabric, sizing requirements etc. The company is also engaged in Job-Work for wholesale cloth merchants and also trades in grey cloth as per the order received from the customer. Its products offering can be largely classified into Shirting Fabrics, Shooting Fabrics, Polyester Fabrics, Dress Materials and Cotton Fabrics. Established in 1992, the company caters both domestic and international clients. Vinny Overseas has also been recognized by Director General of Foreign Trade, Ministry of Commerce and Industry as a “One Star Export House” and holds a valid certificate upto 2020. Its processing unit is located at Isanpur Road, Narol, Ahmedabad in the state of Gujarat, on approximately 27000 square yard of land which comprises of dyeing, printing and finishing processing with a capacity of processing of approx. 4,00,00,000 meter per annum. For the financial year 2017-18, the company processed 3,82,87,548 meters of fabrics. Vinny Overseas IPO allotment status is now available on Bigshare Services' website. Click on this link to get allotment status.